The Civil Rights Room is a space for education and exploration of the Civil Rights Collection. The materials exhibited here capture the drama of a time when thousands of African-American citizens in Nashville sparked a nonviolent challenge to racial segregation in the city and across the South. In September 1957, Nashville took the first steps toward ending segregation and discrimination in its public schools. 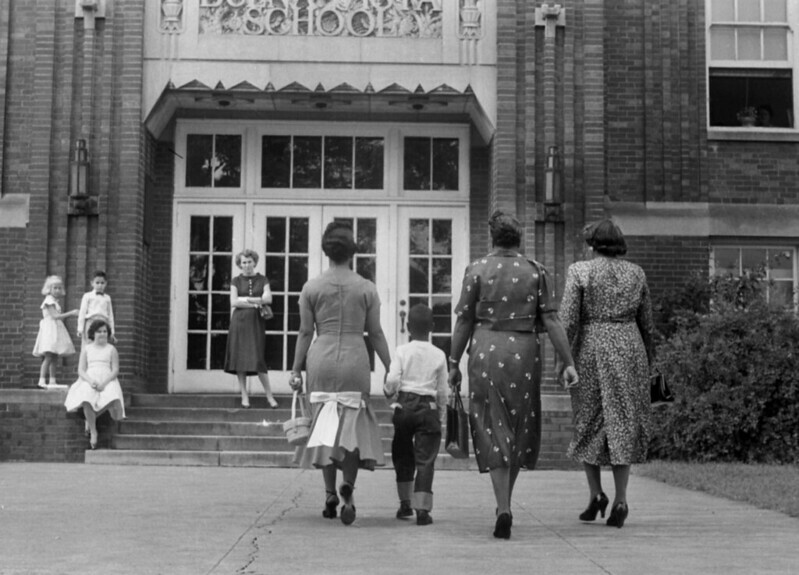 Under a court order in accord with the Supreme Court’s historic declaration that segregation laws were no longer valid, a handful of courageous parents and their first-grade children registered at five previously segregated Nashville public schools. In February 1960, a group of students from the city’s four black colleges—American Baptist, Fisk, Meharry, and Tennessee A&I—set out to confront segregation at lunch counters, movie theaters, and other places of public accommodation. The Civil Rights Room overlooks the intersection of Church Street and Seventh Avenue North, where nonviolent protests against segregated lunch counters took place. Visitors can sit at the symbolic lunch counter and read the Ten Rules of Conduct carried by the protesters during the sit-ins and examine the timeline of local and national events. Black and white photographs surround the room, illuminating dramatic events in this period of Nashville history. See parents leading their first-grade children past angry protesters, a bombing meant to intimidate those who were challenging segregation, and a peaceful confrontation between Mayor Ben West and African-American student leaders. A video presentation room and classroom adjacent to the Civil Rights Room make an array of materials available to individuals and groups. The Civil Rights Room is open to the public during regular library hours. Groups must make special reservations to visit the Civil Rights Room. Staff members can provide a guided tour of the space, interactive activities, and film viewings. Tours can be tailored to any age group and are typically 1 - 2 hours long. The Civil Rights Collection contains various forms of information that pertain to Nashville’s involvement in the Civil Rights Movement. During the 1950s-1960s, Nashville’s Civil Rights Movement was in constant flow, from desegregating public schools to lunch counter sit-ins. This collection is an assembly of materials composed of primary sources and first-hand experiences, detailing the situations that were occurring during the Civil Rights Movement in Nashville. The Civil Rights Room is open to the public during regular library hours. Reservations must be made in advance for group tours. All images are protected under copyright and belong to either the Nashville Public Library or The Tennessean. Reproduction of the images is restricted. Please contact Special Collections Division for more information. The Civil Rights Room and Collection were developed with a gift to the Nashville Public Library Foundation (NPLF) by Robin and Bill King of Nashville. The Civil Rights Room's Civil Rights and a Civil Society program is made possible by a generous grant to NPLF from the Nissan Foundation.